When is capacity challenged and by whom? Can the bank require that a POA for care be named at the time they are named? How does the bank know what the client needs in terms of health care planning? How can the trust officer be assured that their client is living as well as they can, especially as their client is aging and their capacity starts to be compromised? At what point is the office of the PGT called in? How does care dictate where money should be spent when there is concern of capacity and no available POA making these care decisions? These are issues I can only assume are faced by financial institutions on a daily basis and as the number of seniors continue to grow and age, the need for clear direction will become even greater. I am reaching out to readers of this blog to see if there are guidelines and a consistent policy or practice across the Canadian banking/trust/financial industries when dealing with matters involving POA and capacity. Often times care managers are brought in by the banks/trust companies so that the trust officer can get a good understanding of how their client is doing, ensuring that their care needs are being well met and that money is being spent on appropriate resources. 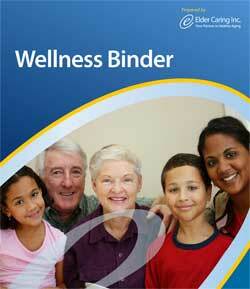 Most times it includes developing a Plan of Care so that their care needs can be anticipated. In 11 years of this work I have not found there to be to a consistent practice of how some of these decisions are made , when they are made and by whom. Understanding your client’s wishes and care needs once again reminds me of the importance of planning ahead, really knowing your client and the importance of ensuring the proper paperwork is in place- in advance.